The excessive rainfall we had in the winter has made our loquat tree very, very happy. There is a surfeit of fruit, more than all the squirrels and birds in Sunnyvale can possibly eat. I've been eating them almost every day but it hasn't made a dent. Anyway, if you'd like to come over and pick loquats, let me know. There are many that you can reach with a footstool, though most are higher up. I haven't bothered to get a ladder or a picker because i've already had my fill from the low-hanging fruit (ha!). Peak season is TODAY; most are very sweet. Loquats are similar to a small apricot in texture and size, with a bit more tartness and tropical flavor. 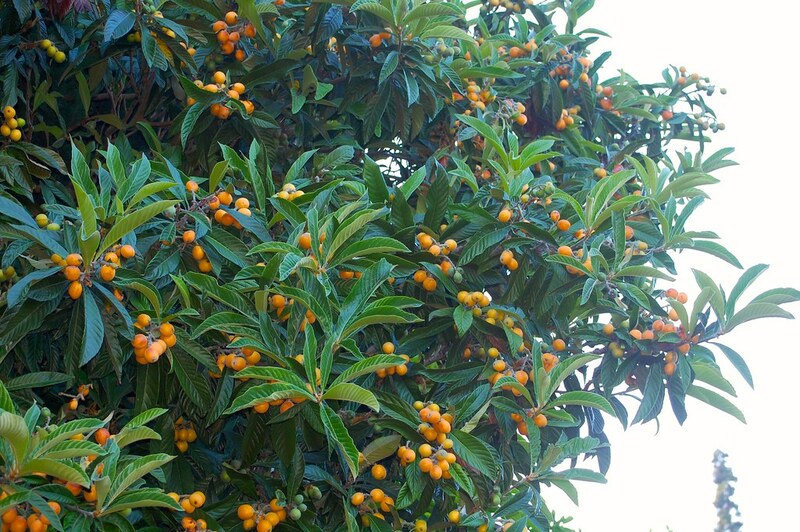 In 2009 we had very few loquats and zero apricots after a dry winter. 2008 was better though. Farming is hard.